LifeGroups are small groups, typically no more than 15 people, that meet in homes during the week to provide an opportunity to build community and grow in the faith. 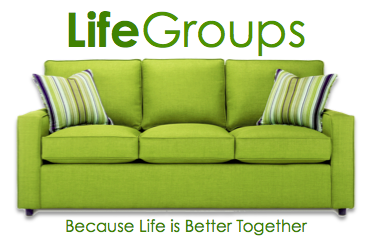 Each LifeGroup has a Host, either an individual or couple, that provides a welcoming atmosphere and helps facilitate the group. What do you do at a LifeGroup meeting? All LifeGroups follow the same general format for a 90-minute gathering. There’s time for sharing about each other’s week, the group watches a video presentation, discussion, and finally time to pray for the needs of everyone. What kind of commitment am I making if I join a LifeGroup? LifeGroups meet bi-weekly. Your level of commitment is up to you; however, once you’re part of a LifeGroup, we think you’ll want to make it an important date on your schedule.